Crews work to keep aprons and runways clear of snow storm at Pearson International Airport in Mississauga, Ontario. 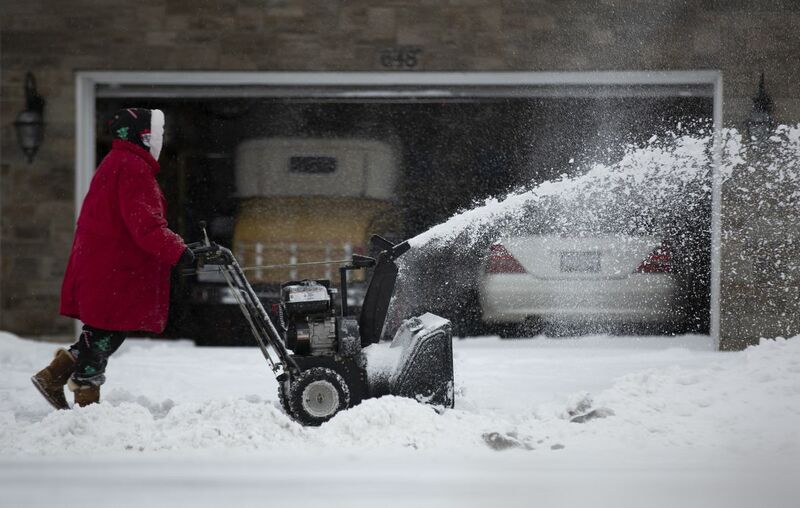 Nina Probanovic clears the snow from her driveway in Burlington, Ontario. 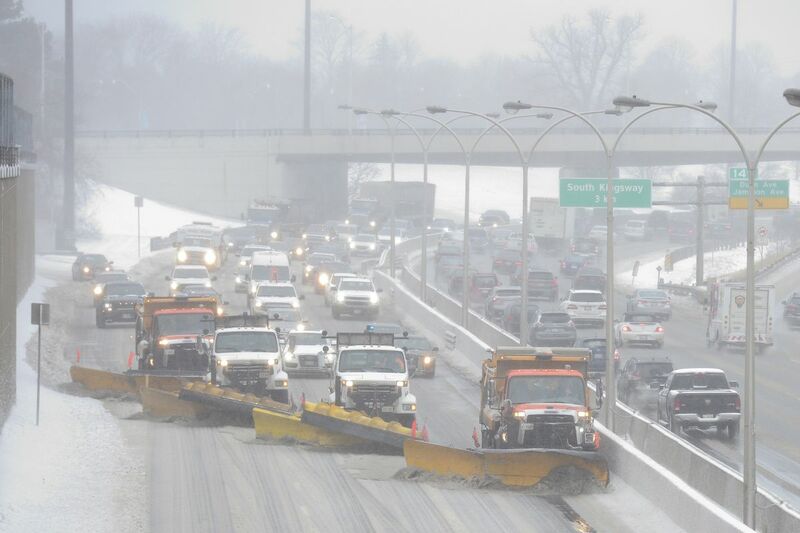 A line of snow plows clear the Gardiner Expressway in Toronto. 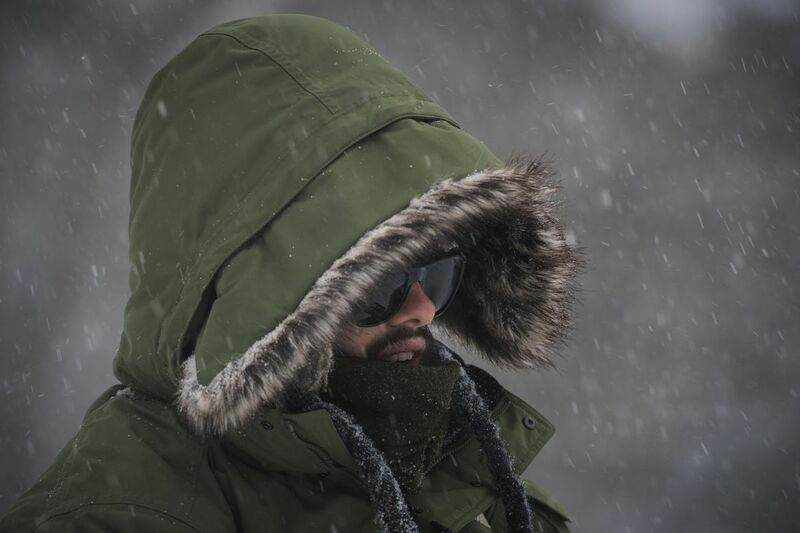 Alano Silva bundles up for the winter storm while spending the early afternoon at High Park in Toronto. 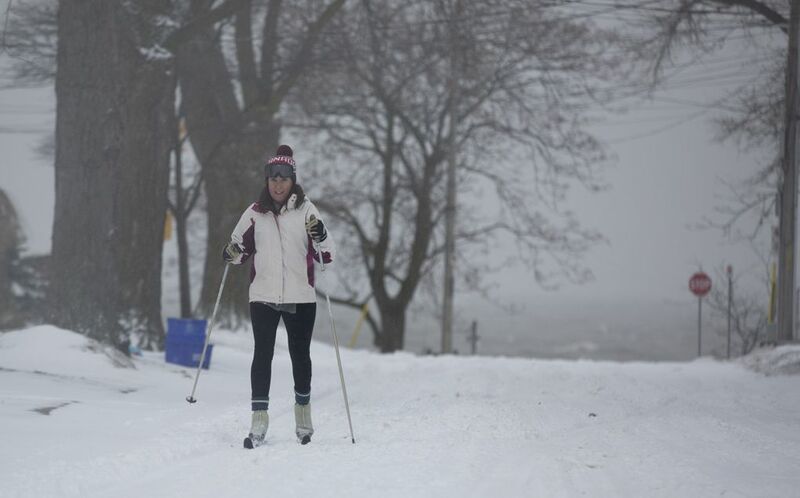 High school teacher Melissa Watson takes advantage of a snow day by cross-country skiing on the streets in Burlington, Ontario. 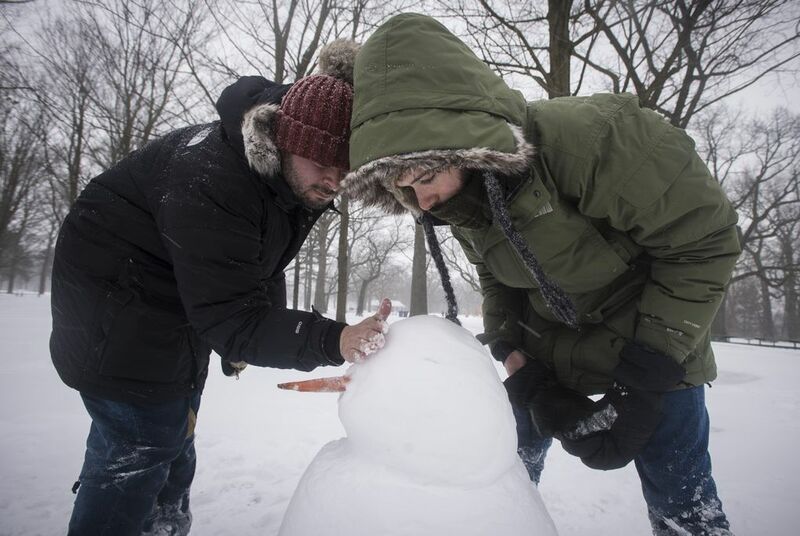 Rafael Ravara, left, and Alano Silva, take advantage of the winter storm to build their first snowman at High Park in Toronto. 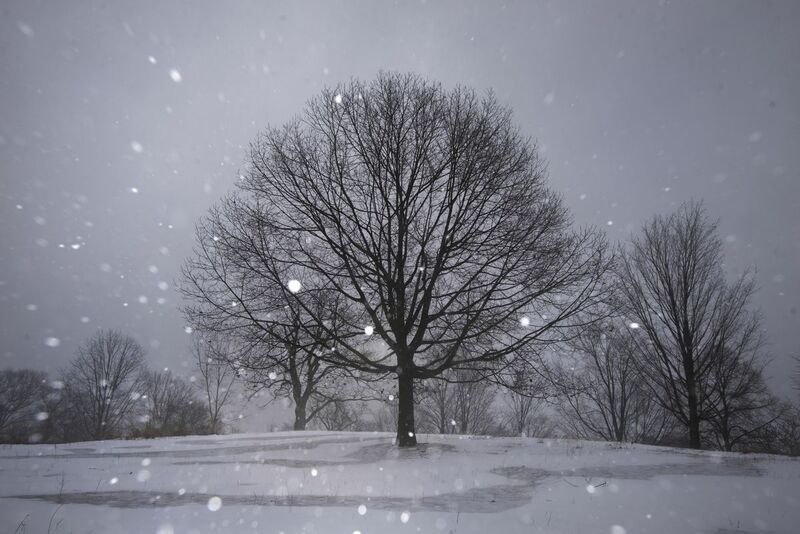 Snow falls in High Park during a winter storm in Toronto. 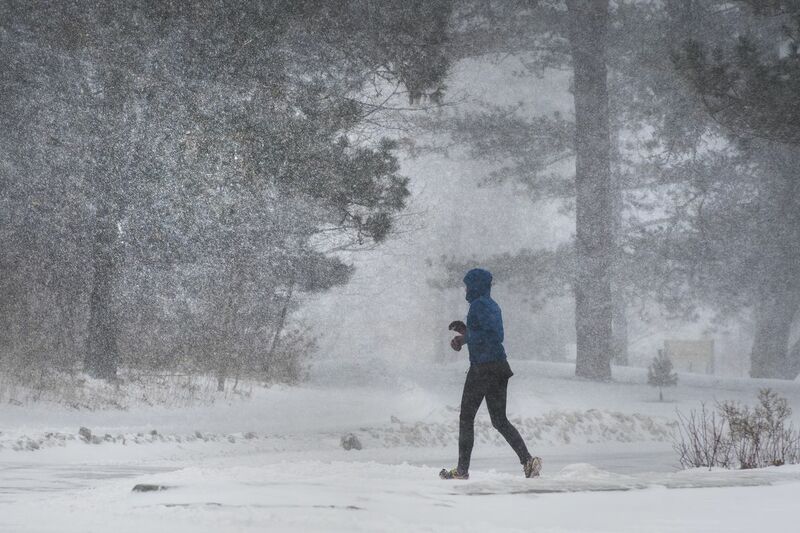 A runner makes their way through High Park during the winter storm in Toronto. A Canada Post employee delivers mail during a snow storm in Toronto. 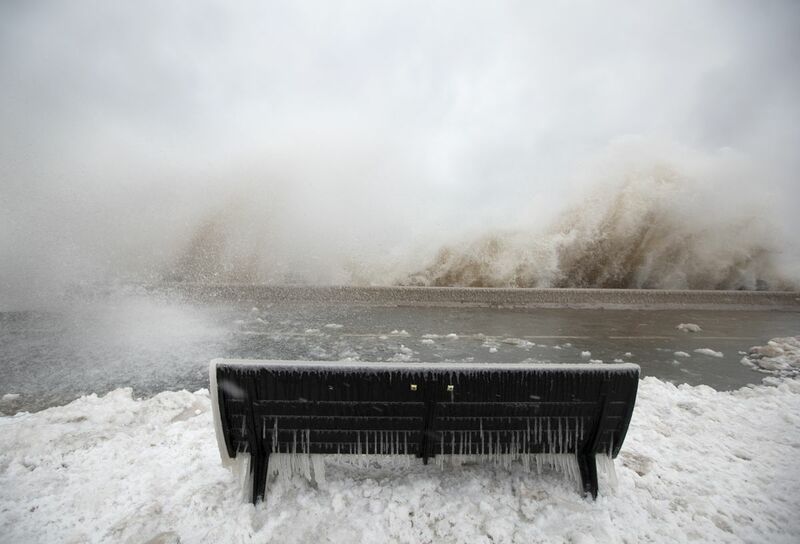 Waves crash into the break wall of Spencer Smith Park in Burlington, Ontario. 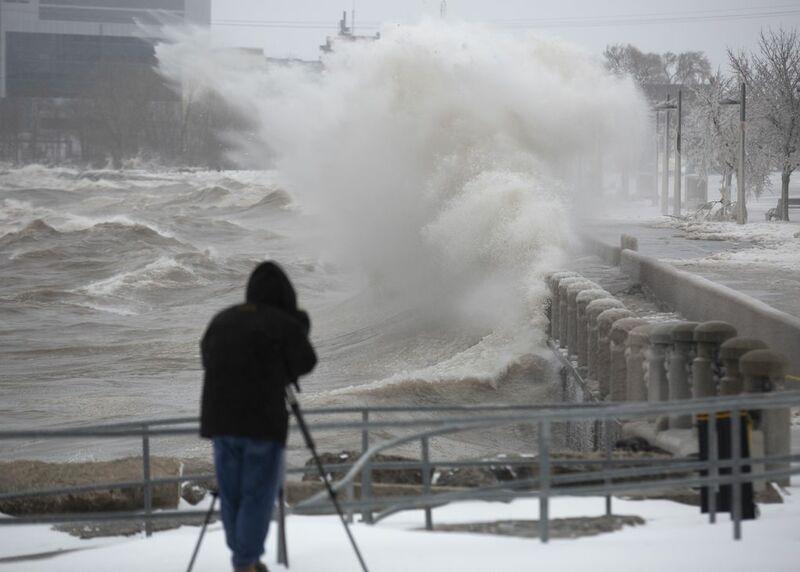 A videographer captures footage of the waves breaking into the break wall of Spencer Smith Park in Burlington, Ontario. 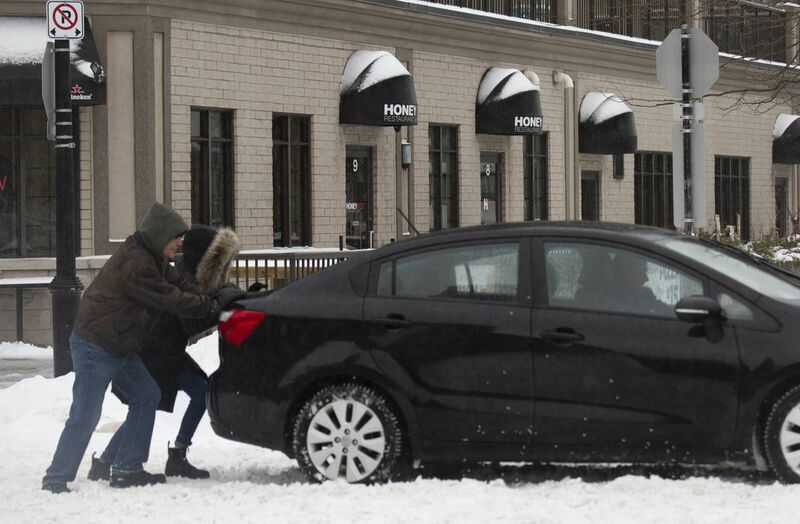 Two pedestrians help push a car through an intersection in Burlington, Ontario. 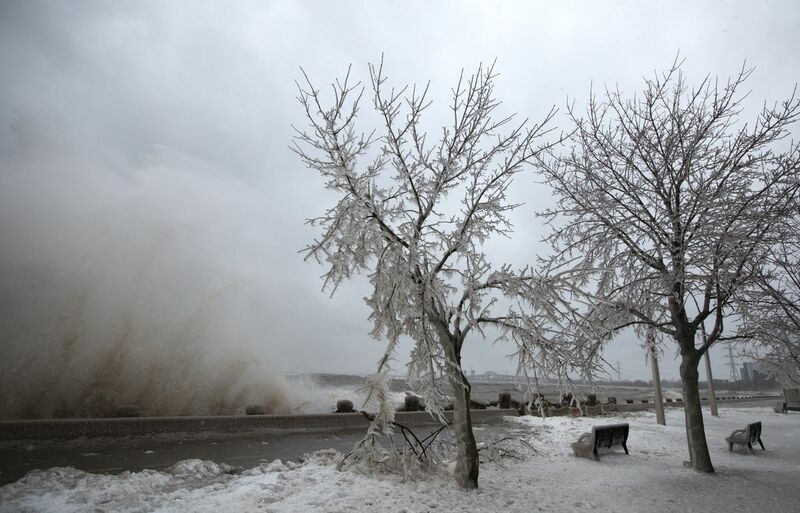 Some ice-encrusted trees are breaking under the weight as waves crash into the break wall of Spencer Smith Park in Burlington, Ontario. Passengers watch snow plows clear the apron through the window of Terminal 1 at Pearson International Airport in Mississauga. Outbound flights are cancelled during the storm at Pearson International Airport in Mississauga. Commuters wait in an ice covered bus shelter as snow turns to freezing rain at City Centre Bus Terminal in Mississauga. 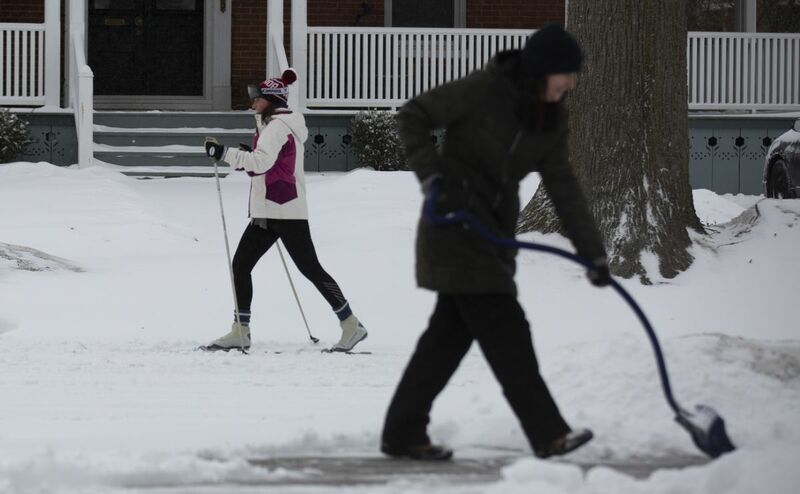 Commuters navigate snow banks as snow turns to freezing rain at City Centre Bus Terminal in Mississauga.